Archived here from a discussion on SG. I’ve been thinking a lot about limited edition games because some of my most interesting game concepts probably have a rather limited audience, due to both interest and the necessity of certain physical components. I bought a copy of Cunningham & Venezky’s Diaspora playing cards a few years back, which describe humans abandoning civilization and animals slowly taking over the cities. There are only 300 decks in existence and maybe only a few owned by members of the indie games community (because a link to it was posted on SG a while back). So if I design a game that uses the deck, it would be a very limited-edition thing, only playable with people who owned a copy of the deck. Could be a big hit at conventions, since it might be your only chance to play it! But not very effective as a commercial product for the masses. 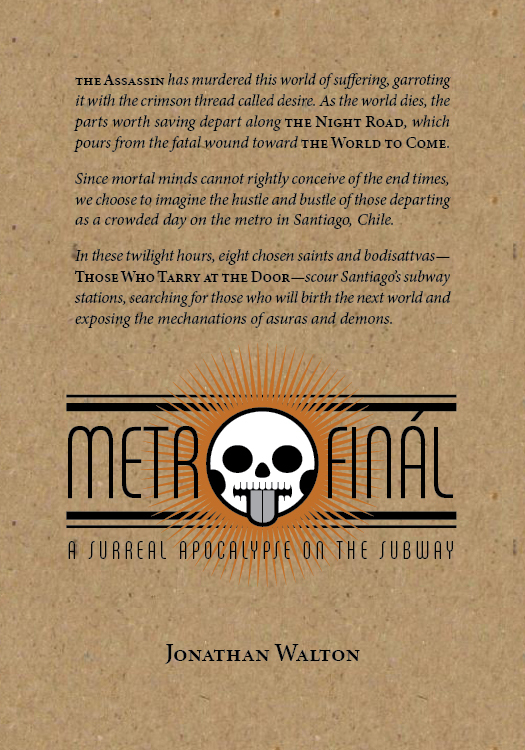 Another thought: my game Metrofinal is really crazy and weird, but the components are really difficult to produce in a way that makes them reusable. Players have to be able to draw on the game board and write on the components, but — unlike Risk Legacy or something — it’s a single session game, not a campaign-length experience. So either I produce components as pads of sheets in a boxed set — sorta like Luke and Jared did with Freemarket — or I produce the game in packets of printed products that you dispose of afterwards: you’d effectively purchase the material for playing the game once and would have to buy a new set to play again. Maybe you destroy the components in a ritual fashion afterwards? Still pondering that. Maybe it just shouldn’t be turned into a commercial product at all. Lastly, I own two copies of Hodge & Wright’s landmark photographs of the Small Magellanic Cloud, which are 11×11″ cardboard prints in a box of 200+ sheets. These will eventually be crucial components for playing Fingers on the Firmament, where players will draw on the star photos to make maps of space. There’s probably a limit to how many copies of the game I can hand-assemble from used copies of Hodge & Wright’s prints. Plus, the 11×11″ dimensions are going to make them really hard to ship or do much else with. So maybe I’ll make 20-50 copies and that’s all the copies that will ever exist. I realize that many designers feel a natural desire for their games to be played by as many people as possible, but sometimes an experience can be more special, intimate, and valuable if it is extremely limited and special. And, as indie designers, we’re not dependent on selling a bunch of games for our livelihood, like the folks at WOTC or even Green Ronin. Nobody’s going to lose their job if you just sell 10 copies to the folks who really believe in and desire your game. One of the projects that I’ve been doing volunteer consulting on lately, as part of the new plan for Corvid Sun, is actually a previously planned collaboration with two old friends: They Became Flesh with Elizabeth and Shreyas. These thoughts came out of our discussion today—pretty basic and I’m surely not the first to say this kind of thing, but it’s still important. If there are sections of your game that can be effectively captured with really explicit procedures, then, by all means, write them out that way. There are enough emergent properties inherent in play — from the other players, the fictional situation, etc. — that you don’t need folks to have to make up large swaths of “how to play your game.” Tell them WHEN to do WHAT and HOW, step by step, with just the contextual info they need to make it happen. However, there are plenty of really important and meaningful aspects of play that can’t be effectively captured that way, especially if your game is intended to have a meaningful emotional impact on those playing. And sometimes the mechanical feel of the game demands more judgment calls than strict procedures. But even in those cases, I think it works best if the text explicitly empowers the players to make those judgment calls instead of abandoning them to decide things for themselves, if that makes sense. When texts disclaim responsibility or say “just wing it!”, they feel incomplete, like the designers have copped-out or doesn’t really have any clue what the players should do. But when texts say, “examine the situation from this perspective and make a reasonable decision,” they feel empowering and liberating. Then the players know that they have some leeway in this area and can safely decide things to the best of their ability without being too worried about making the wrong decision. Practically, from the perspective of what the players do at the table, it can be nearly the same thing, but games in the latter mode feel more supportive, like they’re on the side of the players (and thus, in my experience, get played more often). These two styles work really well when combined together. When the things that need to be done in an exact way are explained very explicitly, the players can do them (surprise!) and know that it’s more or less what the designer intended. And then they feel more confident when the designer says, “there’s some leeway here, make a judgment call,” because they’re operating within a bounded space between explicit procedures. But if everything is somewhat muddy, if it’s not clear when you should follow procedures exactly (or if there even are standard procedures) and when you should decide for yourself (and how to do that), then you’ve left the players to assemble their own game out of content you’ve haphazardly thrown at them. Some of them will still have a ton of fun, probably, since I’m sure many of your ideas are cool and they’re smart, creative people. But that’s really more to their credit than to yours, as a designer, since there’s no way for their fun experience to be consistently replicated by other folks.